Spacedye Blocked Pullover - 12 Quantity - $48.20 Each - BRANDED/CUSTOMIZED by Sunrise Identity at Helix Alumni. MPN: AMZN-VA3274-1. Hurry! Limited time offer. Offer valid only while supplies last. 100% polyester, 8 oz., moisture management, spacedye front and back panel, crossover collar, right side hidden on-seam pocket, tagless label. 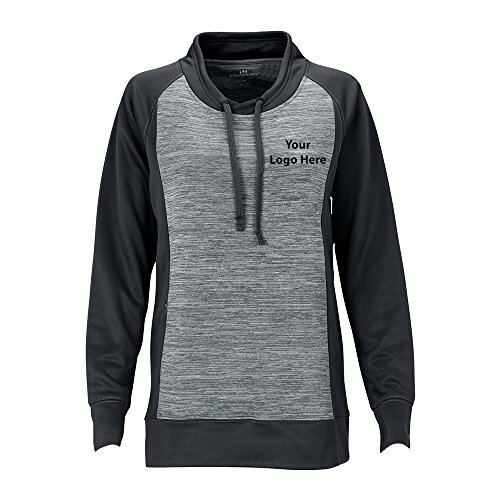 100% polyester, 8 oz., moisture management, spacedye front and back panel, crossover collar, right side hidden on-seam pocket, tagless label. XS-3XL. YOUR LOGO HERE. Have your Logo/Brand printed on this product. FREE VIRTUAL PROOF upon request. See how your product looks before you purchase. How it works? After you place your order, we will email you with instructions on how to send us your artwork/logo. Once we receive your art, we will email you a FREE VIRTUAL PROOF to approve before production. 100% satisfaction guaranteed. Logo Info: Upto Nine Thread color only / One location (as shown on picture). Printing and shipping is included on this price. No additional set up or other fees. You can specify different sizes during the art approval process after the order is placed. Currently the suggested size spread for 12 shirts is: S-2, M-4, L-4, XL - 2. We can include up to 2 extended sizes (2XL or 3XL) in each pack of 12 shirts for no additional cost. Ask us about getting the same shirt in both Men's and Women's styles in this offer. If you would like some other combination of colors, you can specify your requirements via email once you order this product. If you have any questions about this product by Sunrise Identity, contact us by completing and submitting the form below. If you are looking for a specif part number, please include it with your message.